While most departments report directly to management and cater to their own constituents, one thing that is unique about knowledge management is that the knowledge management team must cater to the entire organization, not just one constituency. 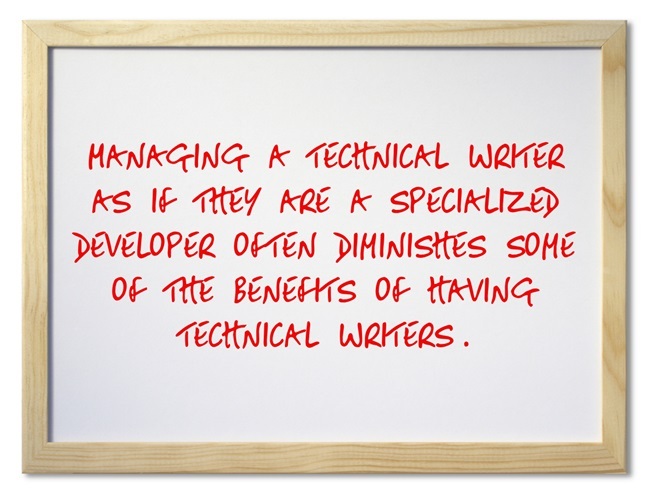 This is especially pronounced when you compare how knowledge management should operate compared to the development team. Since the development team works on larger projects that take more resources, it makes sense that management has their hands on what the development team does, including setting priorities for everything. There is a real and expensive cost associated with going down the wrong path. Knowledge management, on the other hand, is composed of hundreds or even thousands of smaller requests from every part of the company, most of which can be completed in a short amount of time. If a department head asks you to change a paragraph so that it is clearer, taking 10 to 20 minutes to do so is not going to significantly delay anything, while at the same time, provides an instant incremental improvement of the whole body of knowledge. If we had to wait for upper management approval to make such a change, since it does not fit into the priorities upper management set, then we lose the responsiveness that a knowledge management team should provide. 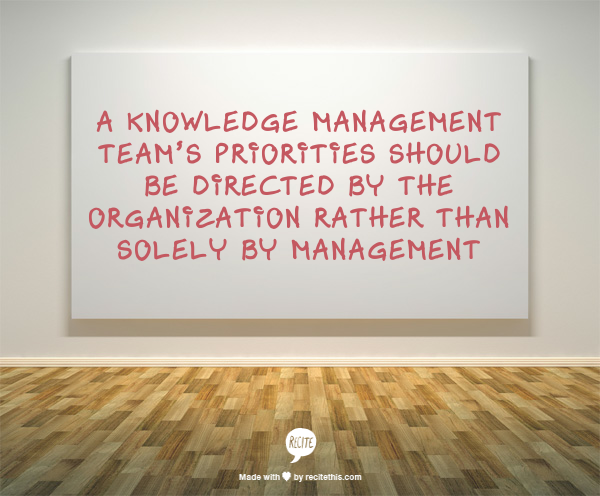 The Knowledge Management team should be interactive with all departments under its jurisdiction to find out what they need, and then prioritize based on upper management’s priorities, ease of implementation, and available resources. 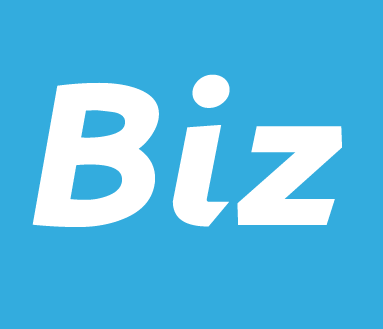 The goal is that changes get made quickly, without having to go through a huge planning and prioritization process. Upper management created departments and teams so that they would not have to micro manage them. The departments will often know what they need better than upper management. Upper management is dealing with bigger more important issues. If it is something that is needed and is easy to do, it still should be taken care of, even if it is small and does not fit into one of the top priorities. Since content changes can be released immediately, there is no need to wait until we redo the section later this year. Make the change now so people can enjoy the update now. Obviously, if upper management says they want something done, that goes first. 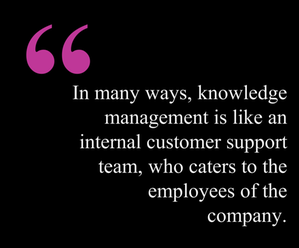 But the knowledge management team’s workflow should not be solely directed by upper management, otherwise you lose the benefit of being responsive. Upper management gets priority and veto power, though. If the departments are asking upper management for documentation and asking to be prioritized, then the knowledge management team is not doing their job.